To start with, the health benefits of lemon juice are known to relieve symptoms of indigestion, such as heartburn, bloating and belching. This is similar to the health benefits of ginger root. Regular consumption of lemon juice aids the bowels and helps them to eliminate waste more efficiently, curing bowel problems such as digestion and constipation. The high vitamin C has been used for hundreds of years to fend off scurvy among sailors and travelers. With little sodium, lemon juice is good for people on a low salt diet. Lemon is a diuretic, which means it’s good for people with urinary tract infections and high uric acid problems. Those with arthritis or rheumatism will also be happy, because it helps flush out all the toxins and bad bacteria. Acts as a blood purifier and cleansing agent. 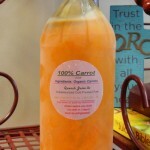 It’s a perfect liver tonic as it encourages your liver to produce more bile which then aids digestion. Known to relieve the hiccups. Decreases phlegm produced by the body. 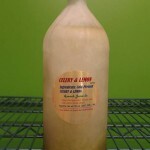 Lemon is a natural antiseptic medicine, and can cure skin problems. It is known to rejuvenate your skin from within, and will create a natural healthy glow. If you juice lemons daily, you should notice a dramatic improvement in the appearance of your skin. Due to its skin enhancing qualities, lemon also acts as an anti-aging remedy and can remove wrinkles, blackheads and acne. Lemons are perfect for acne juicing. One of my favorite health benefits of lemon juice is its ability to minimize toothache pain. 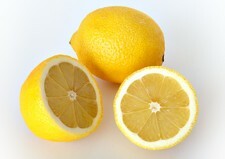 If fresh lemon juice is applied to the area of a toothache, it assists in getting rid of the pain. It can also stop gum bleeding and relieve bad breath. With some amazing antibacterial properties, lemon is a wonderful fighter of throat infections. 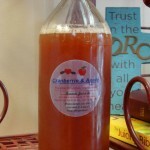 It is known to prevent and minimize them, along with sore throats, and tonsillitis. Juicing a lemon is thought to aid weight loss, and paves the way to losing weight faster. Due to its high potassium content, lemon works wonders for people with high blood pressure, and is known to control and minimize it. Another of my favorite health benefits of lemon juice is its mood enhancing quality. Due to its amazing nutritional qualities, lemon juice is known to reduce mental stress and depression. It enhances the mood and cognitive performance, and even its bright color can be enough to make one smile. Lemon is known to assist and cure respiratory disorders. Lemon increases perspiration, and is useful for treating cold and flu symptoms as well as breaking fevers. It’s known to prevent and control diabetes. While diabetics have to be careful with the natural sugar, lemon juicing for diabetics can be effective. Helps to prevent the development and progression of atherosclerosis. After reading all the health benefits of lemon juice above, you’re probably not surprised that lemon juice has antioxidant and cancer-preventing properties.